Steve Otis has made great strides in deploying and funding environmental initiatives since being elected to represent New York State Assembly District 91 in 2012. Otis is no stranger to seeing environmental projects through from inception to implementation. He played a chief role in helping to create the Water Infrastructure Improvement Act of 2015—a grant program that provides $425 million to support clean water infrastructure projects. 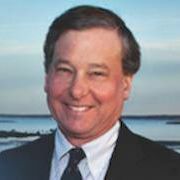 Additionally, as Mayor of the City of Rye for over ten years, Otis implemented numerous projects that acquired open space, protected wetlands, developed policies on flood mitigation, and improved parks in the City. Currently serving on the Committee on Environmental Conservation and Climate Change Work Group, the Assemblyman has proven to be an active supporter of environmental legislation. This past session, he sponsored A10868, which creates mandatory regulations for emergency response plans and A08400, which relates to the special powers of the environmental facilities corporation. Otis has also voted in favor of numerous other pieces of legislation such as an energy storage deployment program (A6571) and increases in the percentage of biofuel in heating oil sold in Nassau, Suffolk, and Westchester Counties (A6954A). 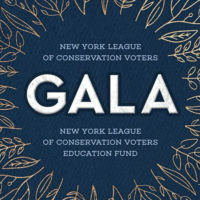 His support of such environmental bills has earned him an 87% on NYLCV’s 2017 State Environmental Scorecard.